This magnificent & rare silvered bronze medal is by the French jeweller and designer Raymond Templier. 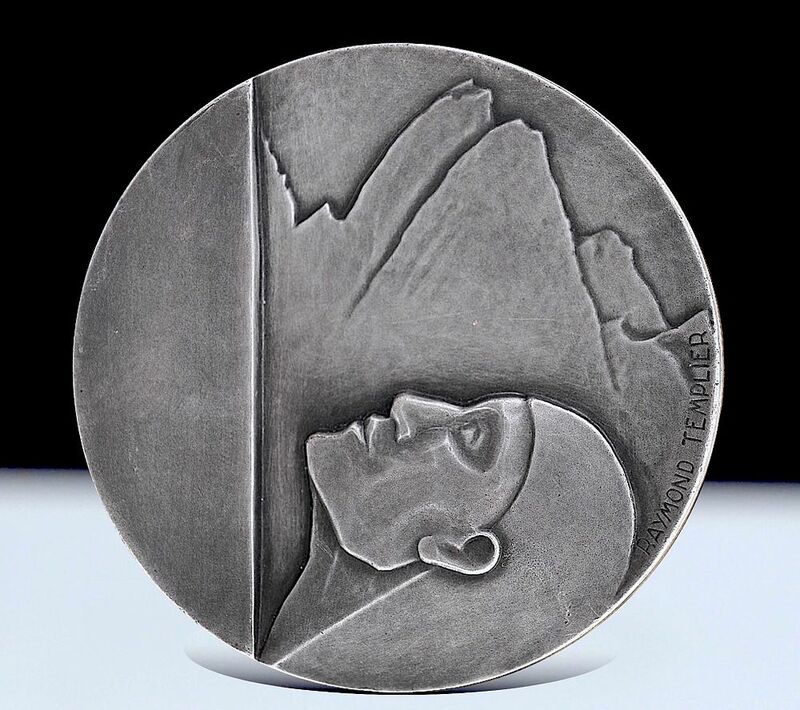 The obverse depicts a (probably) male head in high relief looking upwards as though climbing a sheer rock face and a mountain range (possibly Mont Blanc) in the background. It is signed "Raymond Templier". 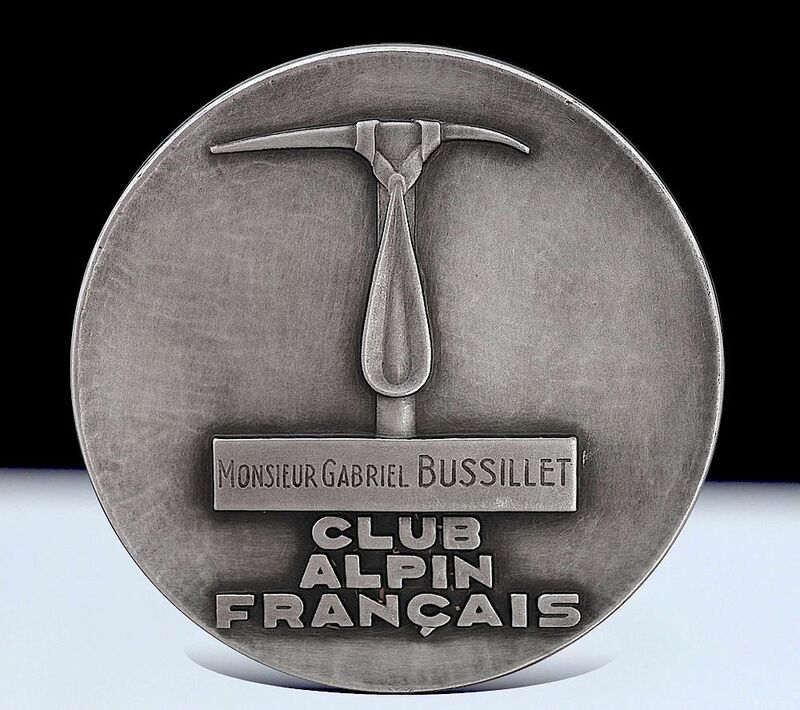 The reverse depicts an ice axe on a plinth with the words "Club Alpin Francais" beneath in high relief. The rim is stamped "Bronze" in a rectangular cartouche. Raymond Templier came from a family of jewellers. The family business was founded by his grandfather Charles in 1849 and continued by his father Paul. From 1909 until 1912, Raymond studied at the Ecole Superior des Arts Decoratives in Paris. In 1919 he entered the family business but was more interested in designs emanating from Cubism rather than the traditional jewellery made by his grandfather and father for the House of Templier. He participated in the 1925 & 1937 Paris Exhibitions. In 1929 together with Helene Henry Pierre Chareau Jean Puiforcat Rene Herbst & Robert mallet-Stevens he founded the Union des Artistes Modernes,.